American Way is a magazine published for the passengers of American Airlines. 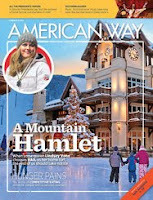 In its edition of February 15, 2012, there was an article dealing with a new book written by famous astrophysicist Neil deGrasse Tyson. Here we reproduce the introduction of that article and one of the questions posed to deGrasse Tyson. Renowned astrophysicist and author Neil deGrasse Tyson puts outer space within reach. 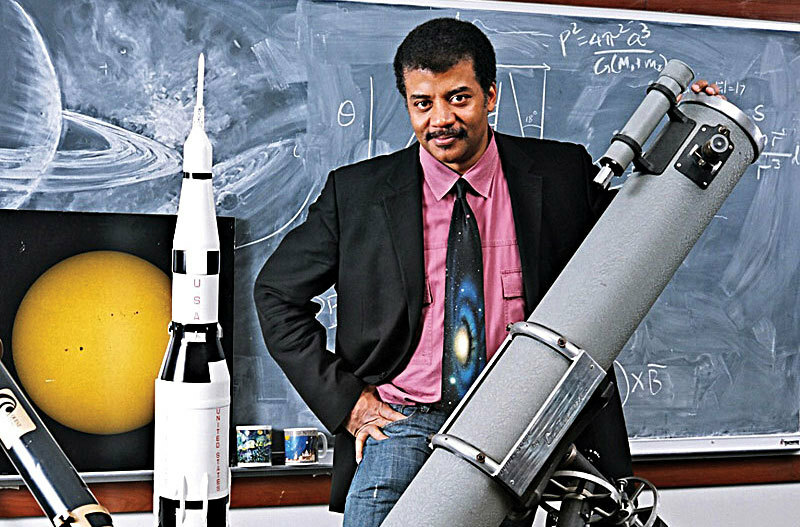 As the director of New York City’s Hayden Planetarium, the host of PBS’ NOVA ScienceNow, a frequent guest on programs like The Daily Show with Jon Stewart and Real Time with Bill ­Maher, and a prolific author, astrophysicist Neil deGrasse Tyson has been outer space’s most ardent advocate here on Earth. He has brought astrophysics into American living rooms with the same amiable brilliance for which one of his idols, the late Carl Sagan, was renowned. On the eve of the release of his new book, Space Chronicles: Facing the Ultimate Frontier, Tyson chatted with American Way about why there are stars in his eyes — and why there should be some in ours as well. AW: Do you think it’s possible that there is life out there somewhere? NDT: Of course. The universe is huge and has been around for 14 billion years. The ingredients on Earth are the most common in the universe. Anyone who has looked at the numbers and studied it says yes to that question. But it’s different to say we’ve been visited. I’m not convinced by anything anyone has put forth as evidence. I need something good, like an alien carcass or a live alien. That would be the end of the debate. Keep looking, though. Knock on my door the day you have a dead alien.